Teledyne Judson Technologies offers an enhanced performance product platform based on a highly integrated lensed detector. The enhanced detector includes an integrated LWIR HgCdTe detector/lens, a TE cooler for operation @ -85°C, a broadband AR coated Ge window in one package ,making it a convenient form, fit, function style TO-3 hermetically sealed package with enhanced D* performance. Benefits of the new platform are D* gains of 24x to 10x (depends on system considerations for Lambertian and focus beam source respectively). 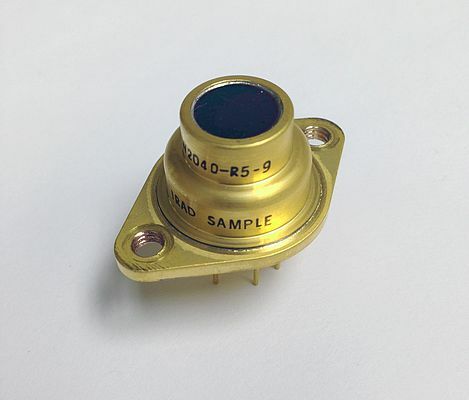 Other benefits of the lensed detector platform include: faster response speed, larger linearity range much larger detector size than non-lensed detector, and enhanced performance over broad spectral range. The new platform allows for more trade-off flexibility between TE-cooler power and detector performance. In addition to HgCdTe, other detector options are Ge, InGaAs, X-InGaAs, InAs, PbS, PbSe, and SLS. Operating temperatures include: room temperature, -20°C, -40°C, -65°C, Liquid Nitrogen Pour-Fill Dewar, Integrated Dewar Cooler Assembly, and Closed Cycle Coolers.